I was excited to find Sarah Lyons Fleming had released another book in the Until the End realm. I loved the first series and have listened to it multiple times. I must admit I love this book more than any of the three in the original trilogy and novella. I love how real these characters were, how SLF made them loveable even with their flaws. Sylvie's and Grace's friendship is enviable. The humor between them and Sylvie and Eric is perfect. I never thought a post apocalyptic book could make me laugh out loud so many times, as well as feel fear or sadness. This book has joined my top 5 books of all times. SLF has a real gift for words. I can't wait for the next book. Stepbrother Billionaire is a standalone audiobook. It contains adult themes, harsh language, and graphic sexual content. The narrator barrels through punctuation marks. She mispronounces words I learned to say in grade school. She sounds totally uninterested in the story. Maybe this is a good book, but since I only do Audible books because I don't have time to read, I'll never know. Darkness has descended on the Shadowhunter world. 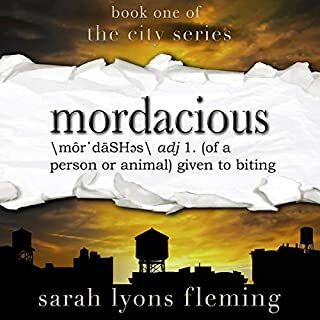 Chaos and destruction overwhelm the Nephilim as Clary, Jace, Simon, and their friends band together to fight the greatest evil they have ever faced: Clary's own brother. Nothing in this world can defeat Sebastian - but if they journey to the realm of demons, they just might have a chance.... Lives will be lost, love sacrificed, and the whole world will change. Who will survive the explosive sixth and final installment of the Mortal Instruments series? 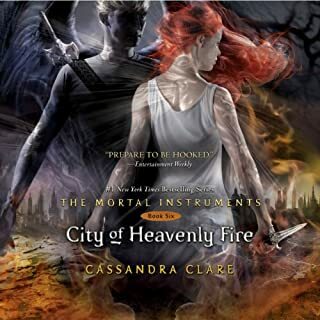 What did you love best about City of Heavenly Fire? The storyline and the characters have remained consistent while evolving at the same time. It's a toss up between Magnus and Jace. They are sarcastic, funny, and they don't care about trying to impress anyone. What three words best describe Jason Dohring and Sophie Turner ’s voice? For Jason: Monotonous, inconsistent, and dry. Yes, a tender moment between Simon and Isabel. I very much enjoyed the story, but I am having difficulty understanding why the narrators are so DRASTICALLY different. It's bad enough that there are different narrators for most of the books, but the male narrator in this book is terrible. Sorry, but it's true. It seems like he can't make up his mind which accent to have. Would you consider the audio edition of Shine to be better than the print version? I loved the dynamic between all of the characters, Silver and Logan in particular. Which character – as performed by Nicole Poole – was your favorite? This book did make me laugh, but I also felt the angst and danger Silver suffered. This was my first step into this type of fantasy and I loved it.